In what likely the first of many to come, a case for the iPad 2 has appeared online and shows a space for a rear facing camera. 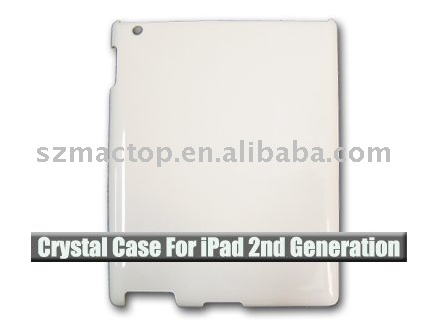 Dubbed the "Crystal Case for iPad 2nd Generation," the case appears to have different, slimmer contours than the first-generation model, with the speaker opening unusually large on the back, and a hole for a rear-facing camera in the upper left-hand corner, similar to its position on the iPhone and fourth-generation iPod touch. Apple is expected to launch a new version of its tablet as early as February.